If you are interested in finding out more about the experiences of women runners over 50 have a look at some of the blogs listed here. In 2013 when I first started looking for blogs by women runners over 50 I only found a handful but gradually that number has grown to include American, Canadian, Australian and British bloggers. I’ve only included blogs where there have been recent and fairly regular posts. Do let me know if you follow other blogs by women runners aged 50+ so I can add them to this list! I hope you enjoy reading them as much as I do. 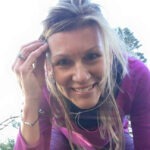 Fran Allison is an enthusiastic member of Caistor Running Club in Lincolnshire. 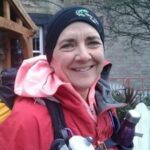 She describes her Fit After Fifty blog as “my thoughts on being Fit after Fifty, Feeling Fantastic, Running, Physical & Mental Wellbeing and random stuff.” In 2016, Fran ran her first ultra race, the Dukeries Ultra 30 in Nottinghamshire. She enjoys supporting and encouraging other people, and her blog is full of stories of her running companions. Karen Guttridge is a British runner who lives in Cyprus. She began running in her early 50s, partly because her doctor told her that she had osteopenia, and suggested that exercise could help to reverse it. She also quickly recognised that she was motivated by racing. 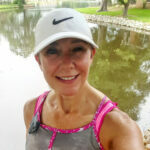 In her blog, Running Like a Wrinkly, she says “The reason you go running – your WHY – is the single most crucial aspect of your running plan.” Karen’s blog and Facebook page feature lots of pictures from her runs in Cyprus. An ne-Marie Loader lives in Northern Tasmania, Australia. She started running in 2010 in her late 40s and describes herself as having gone from a “total non-runner to a running devotee”. Her blog, Unsporty Women Can Run, is dedicated to encouraging others to run and Anne-Marie writes “Running has taught me to love my body…and has taken me to new places of happiness and friendships that I didn’t know existed…If I can transform myself into a runner anyone can!” Her running involves lots of hills, lots of races, and a few trips to parkruns too. 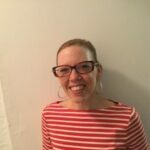 The HoHo Runs blog is written by Holly who describes herself as a “Half Marathon Fanatic”. Having decided to get fit in her forties she was impressed when her sister started running and decided to take it up herself in 2008. She ran her first half marathon in 2011 and has now run 36 in total. “HoHo” is her “granny” name. 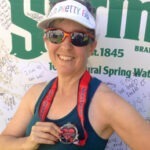 Darlene Car dillo was already in her fifties when she started running in 2008 and says she was “searching for the Fountain of Youth”. Seven years later she’s now in her sixties and still setting personal records. This is even more impressive when you learn that she broke her ankle in 2011 and needed 6 months to recover. Darlene loves to race and would race every weekend if she could. 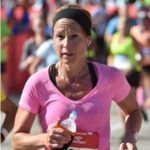 Read about her races and other running adventures in her blog. 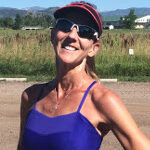 Libby James is a runner in her seventies who has set national age group records and received numerous awards. In January 2013 she set the age group world record in the Disney World Half Marathon in Orlando, Florida, beating the previous record by 4 minutes. 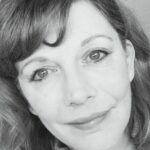 She says “In the back of my mind, I’d always thought I’d quit when I turned 70, but when the time came I was having too much fun.” Libby is a writer and her blog features recent articles she has written about running. You can hear an interview with Libby in a Marathontalk podcast from 2013. Don’t forget to let me know about your favourite blogs by women runners over 50! Thank you so much for this list. I have just begun running at 58. There is a lot out there by, and for, younger women runners but it is good to be able to follow some more age appropriate writers.